Today I want to share with you this quick stamping tool I whipped up in under 10 minutes! What does this tool do you may ask? Well, it allows you to stamp an image multiple times in the exact same spot, just in case the ink didn't go on dark enough or crisp enough that first time! I have wanted to get myself the MISTI tool for the longest time. But, with the plummeting Canadian Dollar and the outrageous shipping costs I thought I would hold off for now. In the mean time the DIYer in me decided to make something that could get me started. For the amount of stamping I do this is perfect for me and it is for my own personal use! So with supplies I had around the house I made my self this really Simple DIY Stamping Tool. 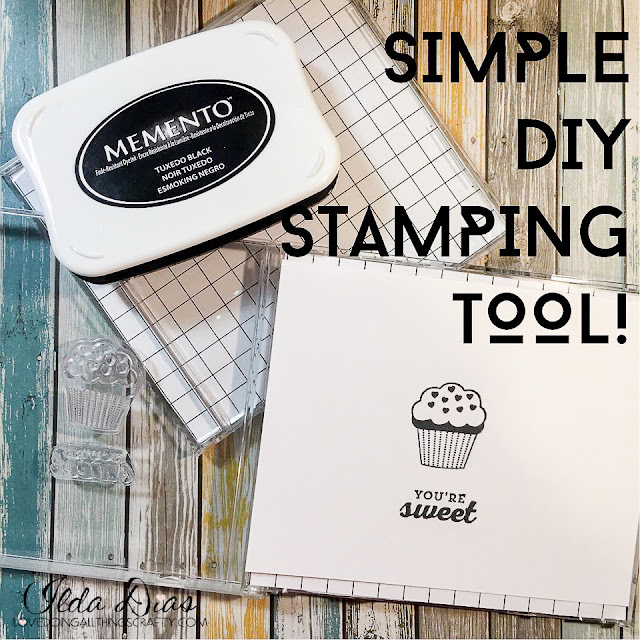 Hope this has inspired you to try stamping and maybe even create you own little stamping tool!